Hi there! 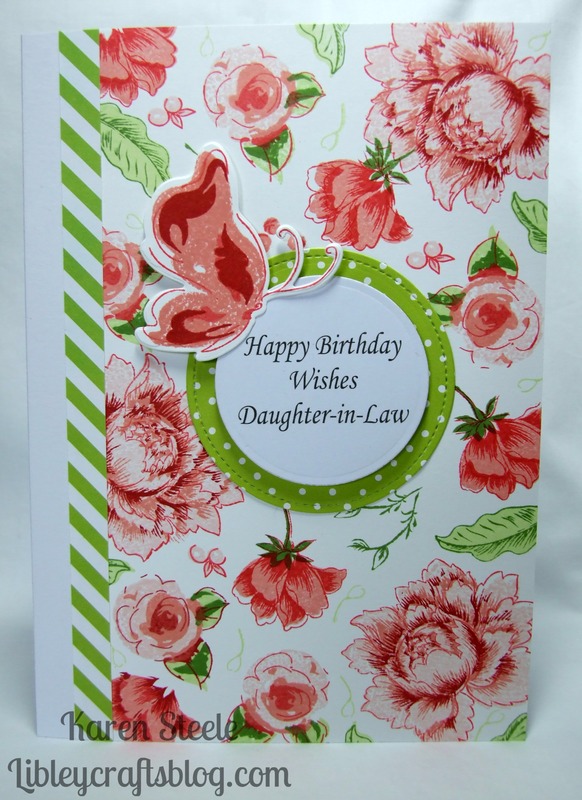 It’s Wednesday again so I’m back today with 2 cards that had been commissioned which I have made using 3 sets from Altenew – Painted Flowers, Painted Butterflies and Peony Bouquet. The one above has images from all 3 sets and also uses the dies to match the Painted Flowers and Painted Butterflies sets. I used the Red Sunset inks here by Altenew and made the sentiment up on the computer. I also used Lawn Fawn – ‘Let’s Polka in the Meadow’ papers and lawn Fawn’s Stitched Circle Die. 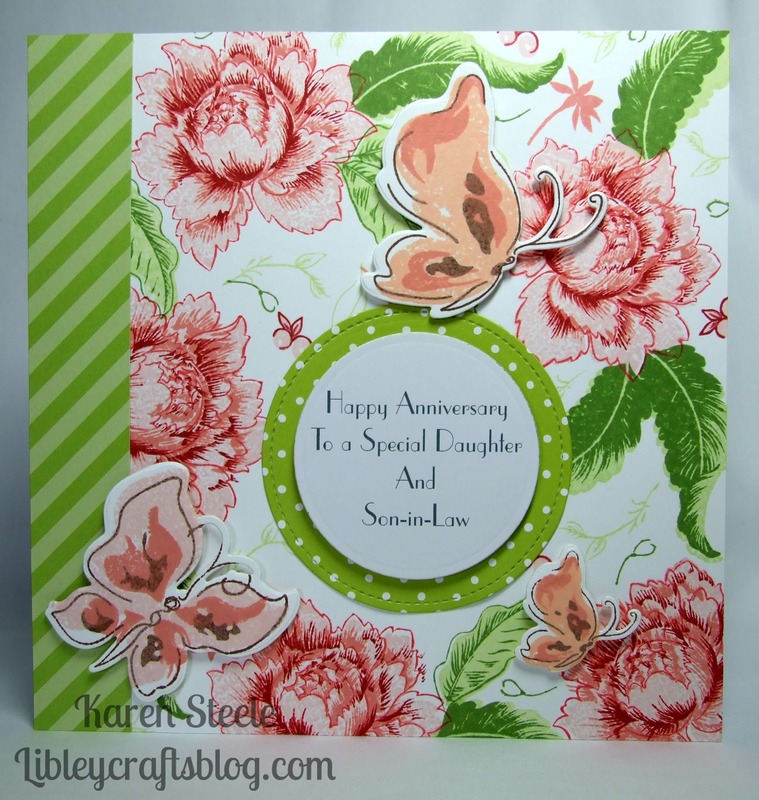 The second card has the main elements from Peony Bouquet and Painted Butterflies. The smaller leaf/stem stamps are from across all the sets. As well as the Red Sunset inks I also used the Four Scoops set as well as ‘New Sprout’ and ‘Bamboo Leaves’ from Memento – these were used on the first card too. Again the sentiment was made up on the computer and the Stitched Circle Die was used from Lawn Fawn as were the ‘Lets Polka in the Meadow’ papers. Although my stamping is a bit off here and there on these cards and they’re pretty similar in design, I’m pleased how they turned out – must keep practising! < Previous Another Cool Penguin! Both are beautiful, Karen and i totally like the colors together. Your cards are absolutely beautiful with the pretty flowers!!! Gorgeous cards, Karen! Your colors are beautiful!! These are beautiful! You have done so many great things with those stamp sets! I don’t see any ‘off” stamping!? Beautiful. I love how you have mixed the colours and the different stamp sets to make something so pretty. Thanks Gill – you’re very kind! You turned white paper into these! Looking amazing, both of them, the one who ordered these won’t be disappointed.